There are many stories of famous cats. Some are stories of real cats, and some are purely fictional felines. But they all prove how very special our cats are. Often people are surprised to find out how many famous felines there are in this world. 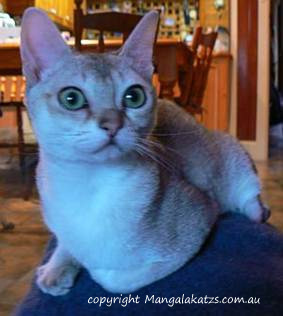 I got the idea of collecting stories of these cats when I checked out an Abyssinian cat rescue site. There I found an interesting story of a cat who deserves to be famous. He was shot through by an arrow - and thanks to the efforts of very special people willing to help he survived and now spreads information about cruelty to animals. You will find the story of Second Chance Charlie below. In time I hope to add stories to this page of exceptional cats. They all deserve to be told to prove how special cats can be. This is an amazing survival story. A tiny five-week-old Singapura kitten Precious was bitten by a poisonous spider and lost her legs. The vet kept on saying she should be euthanized. But little Precious decided she would live, and her breeder Fiona helped her to fight. Here you find the story of little Precious. 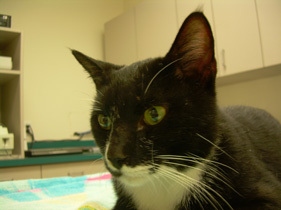 Here is a story of a lovable cat who survived the unimaginable - someone decided to use him as target for archery shooting. He was brought to the vet in severe condition with the arrow still stuck inside him... An amazing story of cruelty, survival - and hope. Click here for Second Chance Charlie's amazing story. How did a cat become a symbol of good luck, riches and fortune in Japan? Here are the stories behind the Maneki Neko - the Beckoning cat: how the cat saved a feudal lord, how it saved a geisha's life, helped a starvind old woman and an ill fishmonger - and also why it is called the Money Cat. 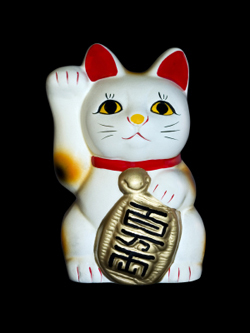 Click here to read about the Maneki Neko - the Japanese Good Luck Cat.